"Rejuvelac" is Dr. Ann Wigmore's living-drink. rice and other grains. Or, with red or green cabbage. I chose cabbage, because of the simplicity of it. I found my information online and in books. was one head of organic cabbage and water. My kind of recipe! First I gave the cabbage a little rinse. I cut out the core and chopped the rest into chunks. you don't have to chop it too fine. 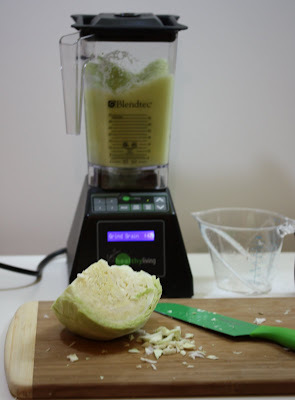 I stuck half of the cabbage into the blender-jar. About three cups. I used half that amount of water. One and a half cups of distilled, or purified water. Tap water has chlorine in it and that kills the good bacteria in the Rejuvelac. I blended it until it was liquefied. Then I did the same thing with the other half of the cabbage. I opened a bag of Cheese Cloth. but tastes mighty fine! Except for the 'cloth' part. I cut a piece, large enough to cover the bowl. And cover the bowl I did. It was suggested to always write the date on there, so that you don't forget. Place the bowl, undisturbed, in a warm area for three to four days. On the third day, I opened my new Sprout Bag. and a mask that I wish I could have used the entire three days! The room it was in smelled like a locker-room filled with dirty gym socks!! This is what it looked like. Innocent enough, right? I poured it into the Sprouting Bag, while it was sitting in the blender-jar. Then I squeezed the livin' daylights out of it. I read that wearing gloves is a good idea, since we're dealing with bacteria. I poured it into the Mason Jar. I ended up only needing one of them. This is what the cabbage-pulp looks like. Some people use it for composting. So - this is what one medium-sized head of cabbage gave me. you don't have to wait three days. Just use that as your 'starter'. The nutrients from the Rejuvelac are 'pre-digested' nutrients now. Its rich source of friendly-bacteria will help to heal your digestive system. Drink it before you eat. raw nut and seed sauces, and essence breads. But it was surprisingly nice!! And no odor! It tasted a little like carbonated water, very fresh, with just a hint of cabbage. Apparently, if it tastes sour, or weird in any way, it needs to be tossed-out. If you are a Candida sufferer, Rejuvelac may not be the drink for you. The next time I make it - I'm goin' for the odorless sprouts!! There are SO many things to love! I love "Followers" and comments too! Way too complex for me! I'll stick to commercial juices when I thirst for them. I like my calories with all the fiber attached. you're getting real b12 and B vitamins and vitamin K with rejuvelac. interesting! 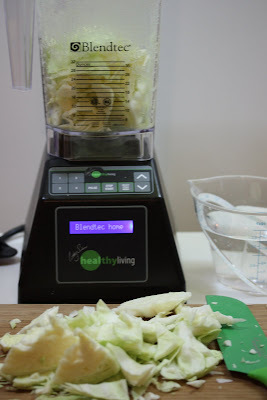 i like fermenting cabbage to make raw kraut. 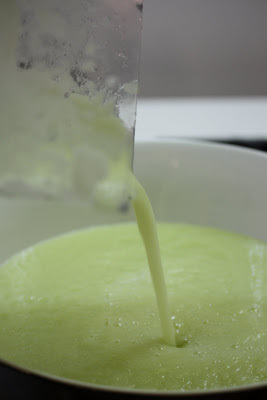 didn't know you could make rejuvelac with cabbage! WOW! I can hardly believe you did this, but photos don't lie. I am love cooked cabbage, cole slaw but cabbage juice, I just don't know. I could drink it, but I don't think I could make it---I gave up craving that sweatsock scent when my son moved out. You are very enterprising (Captain Kirk)! 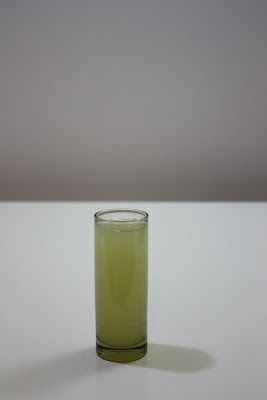 No seriously there is a lot to making this drink let alone photographing each stage.....well done Gabrielle. If I lived closer I would call round and have a drink with you! Thank you for the Blog.... enjoyed the one on Cabbage rejuvenac... got to try and make some... always thought it was done with grains....Please check out my new website and Blog as well... www.thegentlehealingplace.org ...maybe you would like to help in some way...Thank you so much for sharing! Try using a "Perfect Pickler", or a "Pickle Meister", for fermenting. You'll eliminate the odor. Could someone please tell me what the difference is, of using a cheesecloth or teatowel as a cover in contrast to using the lid of a jar. I've only come across one recipe that used the lid of a jar. 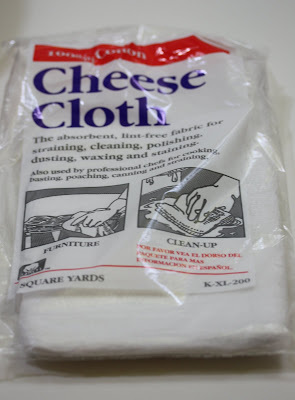 I just know that if there is a choice, I'd rather screw on a lid, than mess around with cheesecloth and a rubber band. And then have to continuously wash the darn thing. I have been doing this for years. This is really good for keeping the body alkaline. pH is so important. Great for anyone who has done antibiotics, since this is pro-biotic. If a tight lid is used than the rejuvelac cannot breath and will go rancid. The Pickle Meister uses a wine fermentation air lock. I have used this for sauerkraut and it works very well. 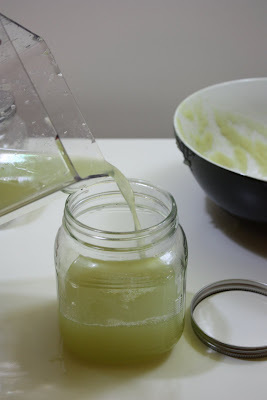 Since I have a hard time digesting raw vegies, I have become interested in fermented vegies. Why do you suggest is not good for Candida? I've read that this is a suggested treatment for it. Could you please let me know your thoughts as I'm hoping to use it as a treatment but don't want to make symptoms worse. I read it on several websites/blogs, so I'm not taking any chances. This post was written a while ago, so I don't know what they were any more. I see that there are many that promote Rejuvelac now. I'm just being cautious. Good luck with your fight against Candida!! It's a tough fight, but I'm sure you'll win it!! I read if you suffer for Candida then after you kill off the candida then this is the drink for you... to replenish good bacteria. Is this your understanding? I don't really know. I would have to read-up on it, to see. But that would be great!! 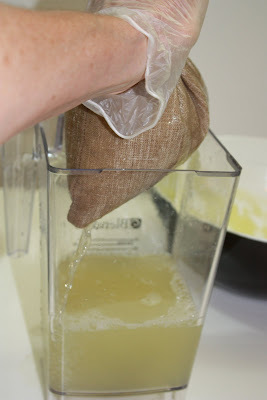 I've made rejuvelac with grains before and loved it. I will give the cabbage a try. Thanks for the blog.